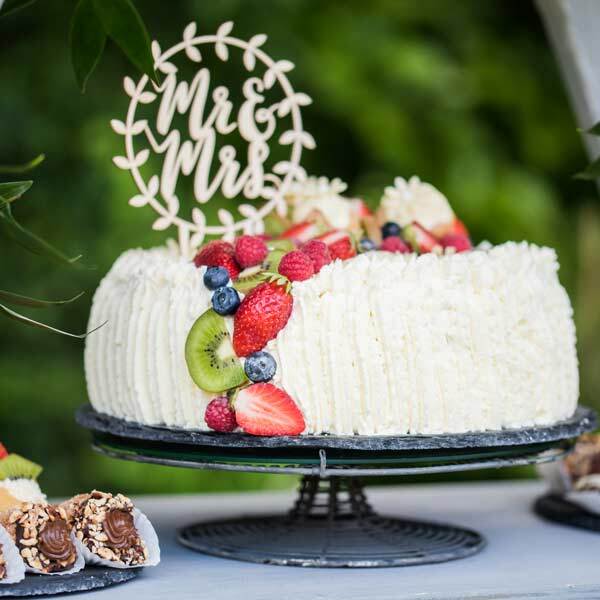 I am completely passionate about weddings, there is something so magical about them and I always feel honoured working with engaged couples like you, to create something delicious and spectacular to wow your guests on your big day. A wedding cake is a beautiful time-honoured marriage tradition, but that doesn’t mean you can’t be unique in how you approach it. I create tailor-made dessert tables, sweet canape tables and wedding cakes including traditional Italian ones, as well as edible favours. As presentation is high on my agenda, I also offer a full design service, ensuring your dessert table fits the theme, colour scheme and style of your special day. Be it a rustic, vintage, or glamorous wedding, I will design, source and set up a table that’s perfect for you. Mark the occasion with a bespoke celebration cake designed and created by me. 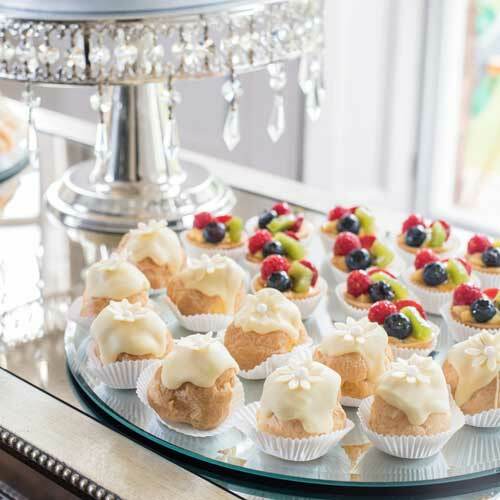 Celebrate with a selection of my miniature pastries to compliment your drinks reception. 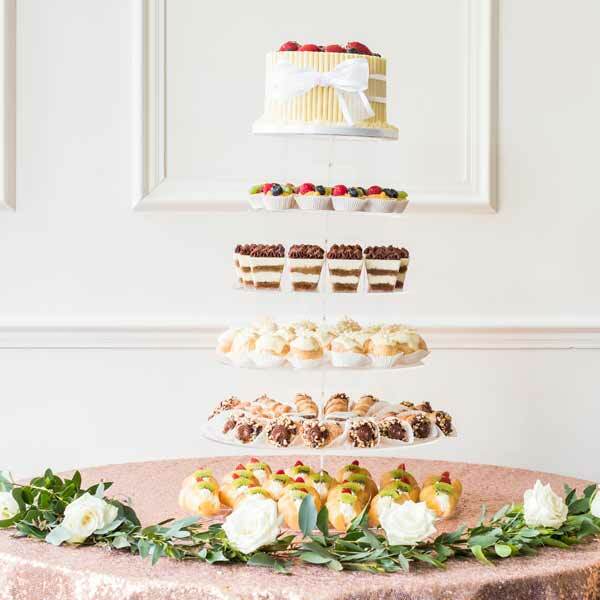 Make your day that extra bit special with a fully styled, showstopping dessert table. 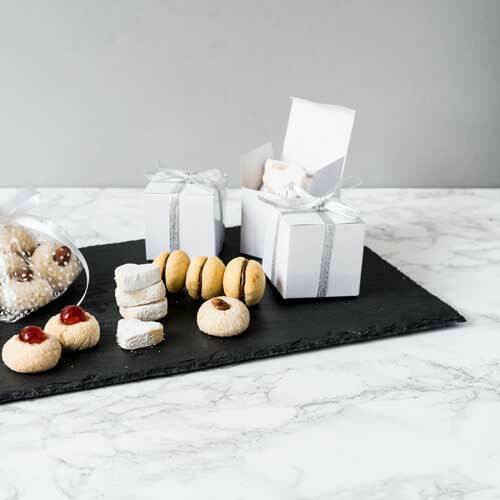 Say ‘thank you’ with bespoke biscuit favours to suit your wedding theme and style.